The beauty and energy of Deer Valley are definitely meant to be shared. Whether you’re looking to organize a corporate retreat, host an unforgettable wedding or arrange activities for a large group of friends or family, you can find detailed information in this section. As one of the premier alpine resorts in North America, Deer Valley is an ideal natural setting for events of all types and sizes. 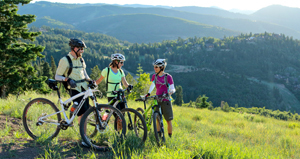 Deer Valley offers an ideal climate for innovation. (Serendipitously, it’s also an ideal climate for recreation.) 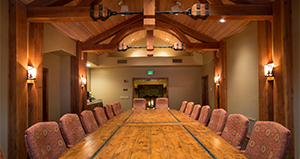 Bring your next corporate conference or executive retreat to Deer Valley and see how inspiring our setting can be. High altitude, high emotion. 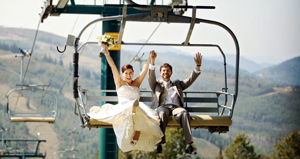 Whether you’re planning an intimate ceremony or a celebration for hundreds, your wedding or special event will unfold with the effortless elegance and grace that come from Deer Valley’s superior attention to detail. 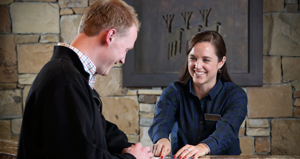 “Share the love” gets redefined at Deer Valley, where groups of 20 or more will find special activities, lodging packages and discounts for every season. Choose from winter outings like private, early-morning lift access, to summertime concerts and guided hiking. Get the answers you need from the appropriate expert on our team.